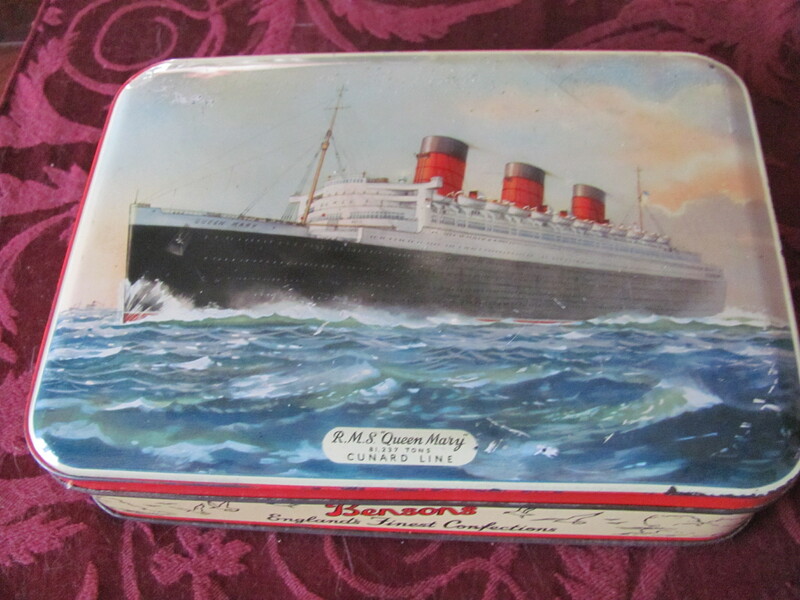 This Benson’s candy tin was sold aboard a Queen Mary gift shop probably in the 1940s. I acquired this example in the late 1970s when I was about 10 years old; my first piece of memorabilia ever. It was bought from a dealer who sent lists through the USPS in those days before the internet. 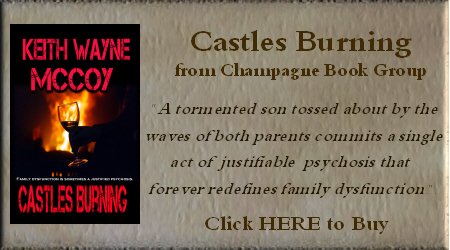 I used my meager savings and gave cash to my mother who in turn wrote a check to the dealer. I was very excited to receive it and assumed it was rare. But along came Ebay which offers several examples every single day. There must have been thousands upon thousands sold judging by the frequency with which they show up on Ebay. And in 1993, an identical tin made an appearance in the movie “The Shawshank Redemption”. When Morgan Freeman’s character is paroled, he finds the tree in a field which Tim Robbin’s escaped character had instructed him to and pulls the tin up from beneath stones and earth. Inside are directions and cash. The fact that this particular tin was used indicates again that it was once very popular and plentiful. Though it is decidedly not a rare piece, it is cherished because it was my first collectible from the legendary Queen Mary. 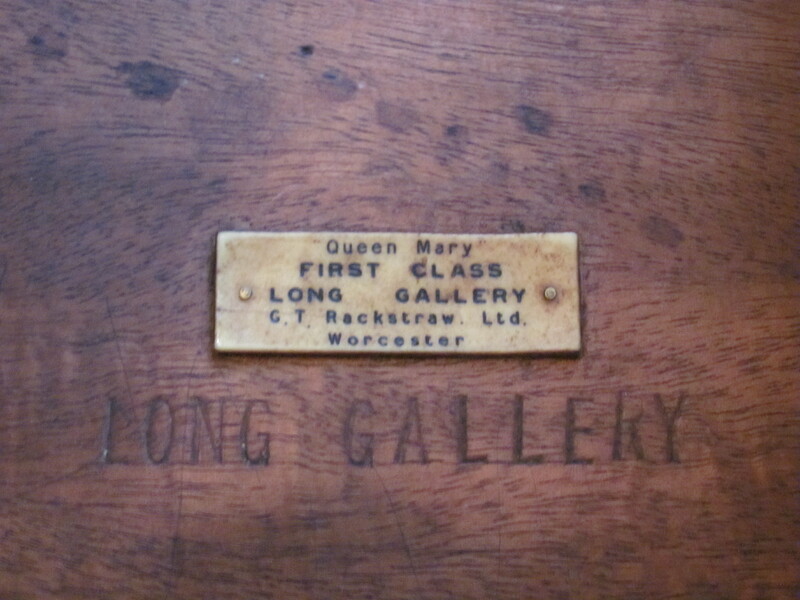 These photos are of an occasional table from Queen Mary‘s Long Gallery. It is 1 of only 2 known in existence. Press photos taken in 1936 of the liner’s opulent interiors clearly show 2 in a pre-maiden voyage snapshot but as far as anyone knows, there were only the 2. In addition to the stamp or branding evident on most furniture, this one also has a plastic nametag which indicated the room the piece was intended. 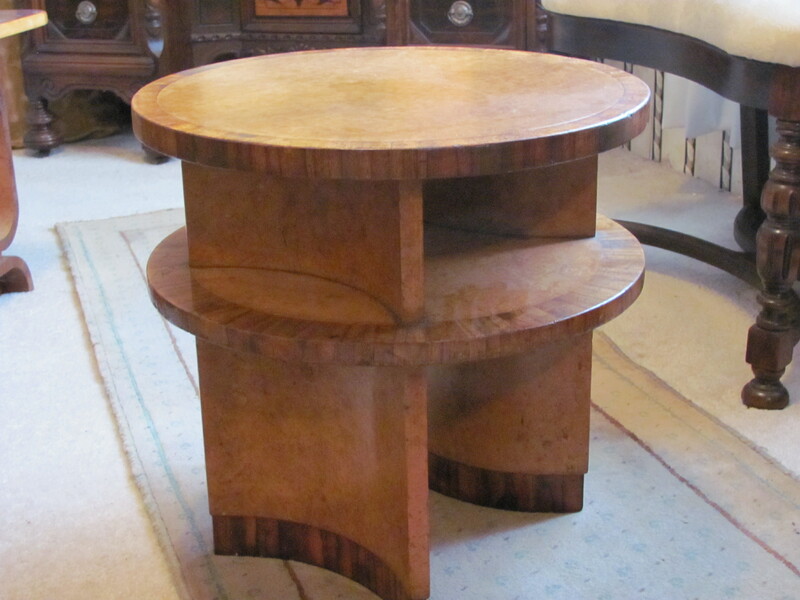 With a ship so large, the designers devised this system so that every stick of furniture found its home. The design is called art-deco but is truly an exclusive design for Queen Mary alone. Indeed, all of the First Class furnishings could be called “one-offs”, a British term for one of a kind which was used extensively to describe the liner herself. There has never been another like her. While most liners of previous years like Titanic, Olympic, Mauretania, and Lusitania all had similar interiors reminiscent of eras like Victorian and Edwardian, the Queen was not severe and heavy but rather elegant and restrained. Over 200 different woods were used on her interior walls and furniture prompting her to be called “The Ship of Beautiful Woods”. 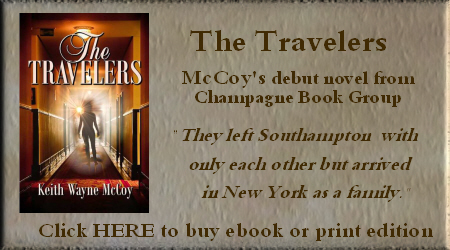 This made her much more attractive to male passengers who had previously been relegated to the fussy, feminine decorations of previous liners. As a matter of fact, many prominent male passengers stated that she was their favorite liner, men like Alfred Hitchcock (who used footage of one of her arrivals in New York in “Dial ‘M’ for Murder”), Bob Hope, the Duke of Windsor, David Niven, Cary Grant, Clark Gable, etc. In 1930, the Cunard Line laid the keel of a ship then known as #534. Cunard officials had planned on naming her Victoria since the -ia suffix was used on their liners (Mauretania, Lusitania, Aquitania, etc.) 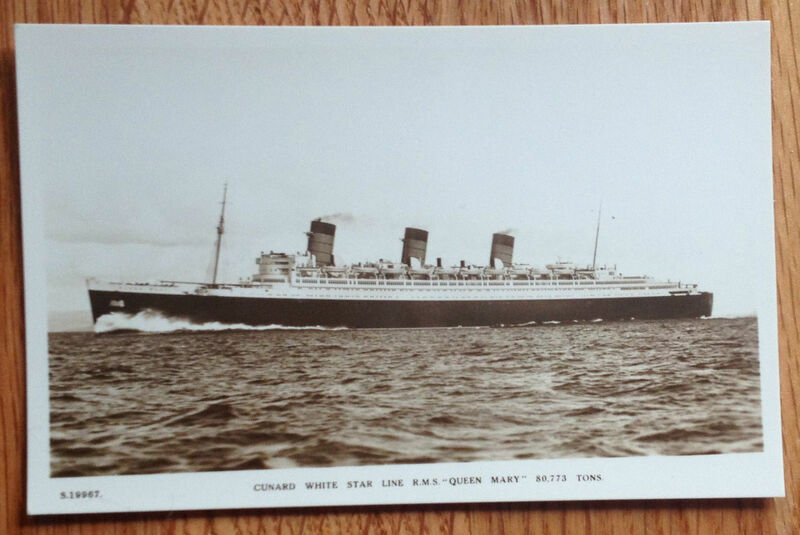 while the White Star Line used an -ic suffix on their liners (Olympic, Titanic, Majestic, etc.). In 1931, however, Cunard shut down building of their superliner due to the Depression. Over 80% complete, the hull rusted on the stocks until 1934 when the British Parliament agreed to a government loan to complete the giant with the stipulation that the rival lines merge and become Cunard White Star. The president of Cunard had a golf date with King George and requested permission to “name the ship after England’s greatest queen”. Without batting an eye, the King replied, “My wife would be delighted!” So, #534 was launched in September and christened Queen Mary by her majesty. In this way, the suffixes for each line’s ships would be eliminated. 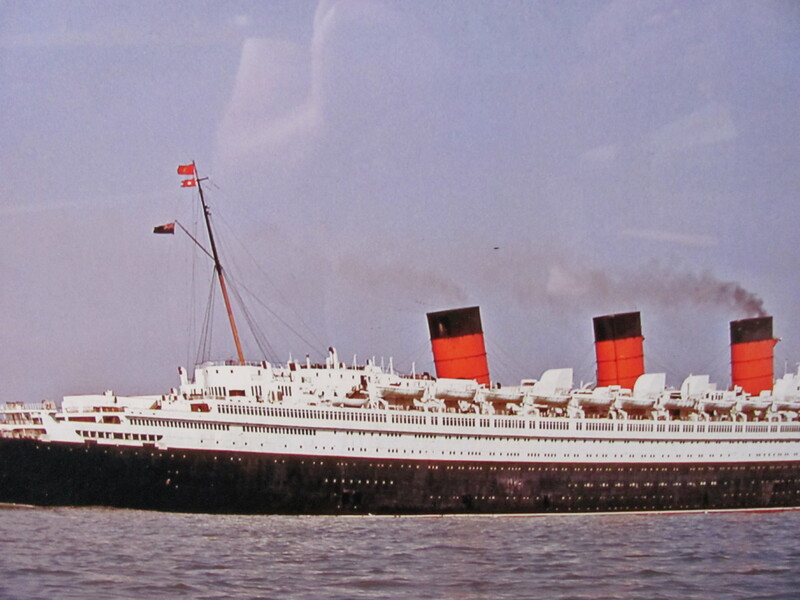 From the time Queen Mary made her maiden voyage in 1936 until her retirement in 1967, she flew a double house flag on her aft mast. In the attached photos, one can see the flags whipping high above the deck. 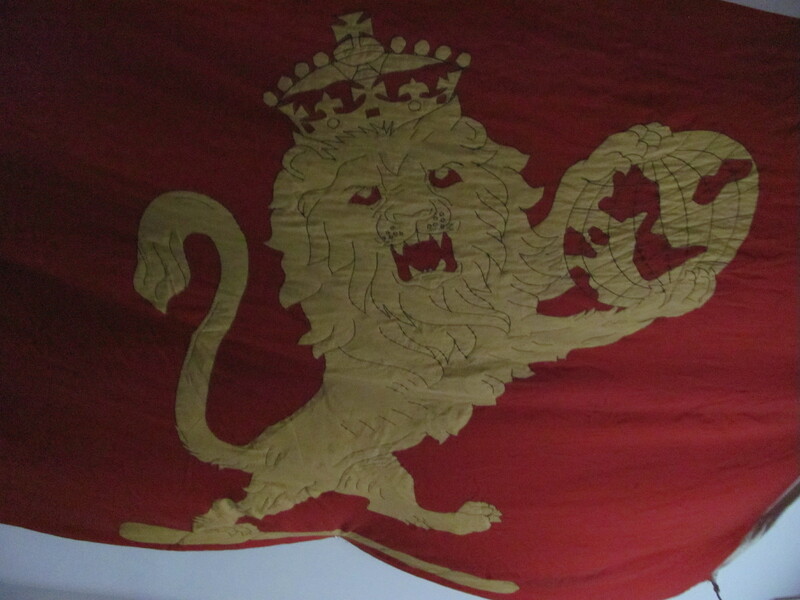 I own the last house flags she waved and have them displayed on my living room ceiling. They are too large to mount on the wall as they are over 6 feet tall and 9 feet wide. Because of the Titanic disaster, Cunard White Star Line dissolved the corporation by liquidating White Star’s assets and became simply Cunard. 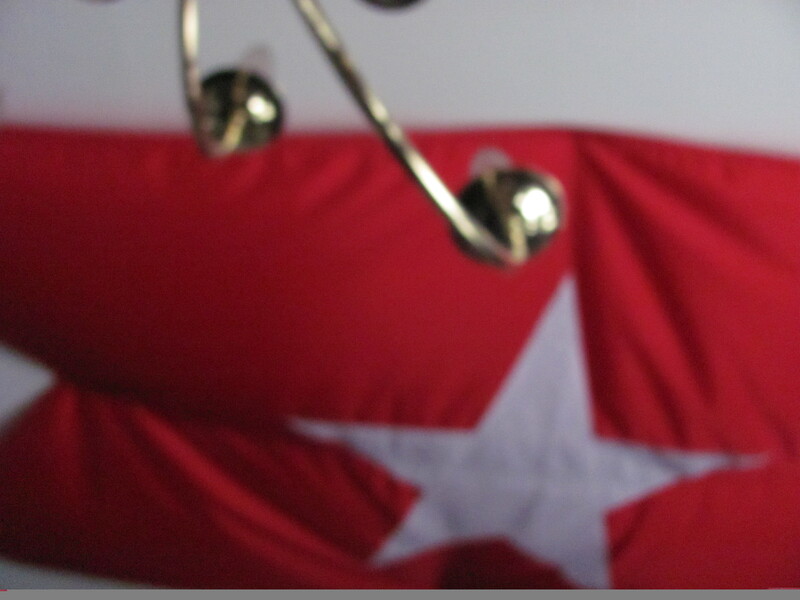 The White Star Line became a memory, synonymous with the legendary disaster that befell its greatest ship.